"With summer tour dates starting today at the Magic Stick in the magical land of Detroit..."-- from Hey Rosetta! on their blog. "Magical" isn't usually an adjective associated with Detroit, but Newfoundland's Hey Rosetta!-- singer/guitarist/keyboardist Tim Baker, guitarist Adam Hogan, bassist Jon Hynes (filling in very ably for Josh Ward), drummer Phil Maloney, violinist Kinley Dowling and cellist Romesh Thavanathan-- and their exquisite, soaring alt rock made it that way for N2D and a small but fervent group of fans at the Magic Stick on Tues., Jun. 28. This time taking the stage as the headliner, they opened with "Seeds" from their latest album of the same name, which includes the sound of two pieces of wood clacked together by Thavanathan. It's a fitting metaphor for the two-time Polaris short-listers because they excel at taking the ordinary from germination to emotionally percussive and poignant blooms. "We've put together a new set list for this tour, and we're trying it out for the first time tonight," lead singer and guitarist/keyboardist Tim Baker announced. We have a set list from the show for you to win if you answer the question at the end of this blog correctly. But the band didn't get a chance to put it to the test: Detroit had a little magic of its own in store for Hey Rosetta! Obviously surprised by the level of adoration from the audience-- and count us among them-- they departed from the set list to satisfy requests, delivering characteristically stirring renditions of "I've Been Asleep For A Long, Long Time" and "Red Heart" (from their 2008 release, Into Your Lungs) and "Lions for Scottie" (from their debut EP, Plan Your Escape). 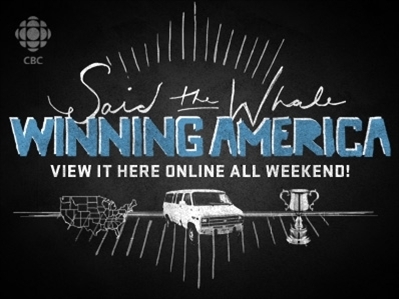 If you weren't able to make the show, or are a Hey Rosetta! fan, they're returning to the Detroit area on Sat., Sep. 17, playing the DIY Street Fair in Ferndale. Set time is 7:30 p.m. You can also hear them on Mon., Sep. 19 when they perform for the Polaris Prize Gala (when winners are announced) along with other nominees. CBC Radio 3 will be broadcasting the event live; you can also listen on SiriusXM channel 152. Much of the inspiration for Seeds came from Hey Rosetta! 's travels through a certain part of Canada. 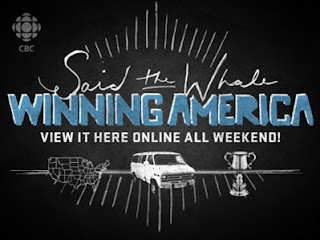 Email us with either the province or a town they visited on that tour in 2009 and the set list from their show in Detroit on Jun. 28 is yours. Now listeners in the Windsor/Detroit area will be able to hear CBC Radio One on the FM dial and experience CBC Radio 3 regulars Grant Lawrence, Craig Norris and Lisa Christiansen as they occasionally fill in. Windsor/Detroit can tune in to 97.5 FM; Leamington, Ont. can tune in to 91.9 FM. The transformation occurs Oct. 1, 2011. Wednesday would just be the middle of the week if it weren't for CBC Radio 3 and host Craig Norris, who turn it into WENZDEE! Tune in on the Intertubes or Sirius/XM channel 152 for the Wednesday Weld, featuring four hours of music chosen by Radio 3 listeners based on a theme suggested by listeners. This week: Imperatives (songs that tell you to do something), pitched by yours truly, N2DS2W. As blogger MikeV noted, "It appears that musicans are bossy and commanding people. Go figure!" Edmonton's The Wheat Pool, who played the Phog Lounge this past March, will definitely be on our list of Top Ten shows for 2011, so we're delighted to have another opportunity to hear from one of the band's members. 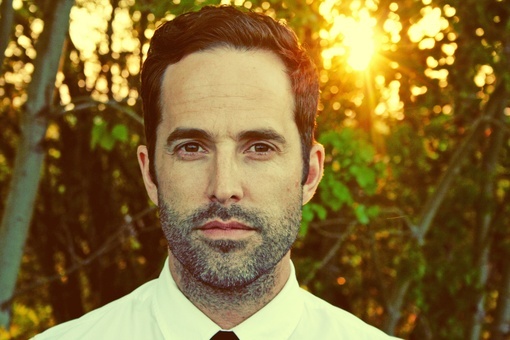 Mike Angus is touring in support of his first solo album, Hymns. We've only heard one track-- you can listen to it here-- but we're already singing its praises. 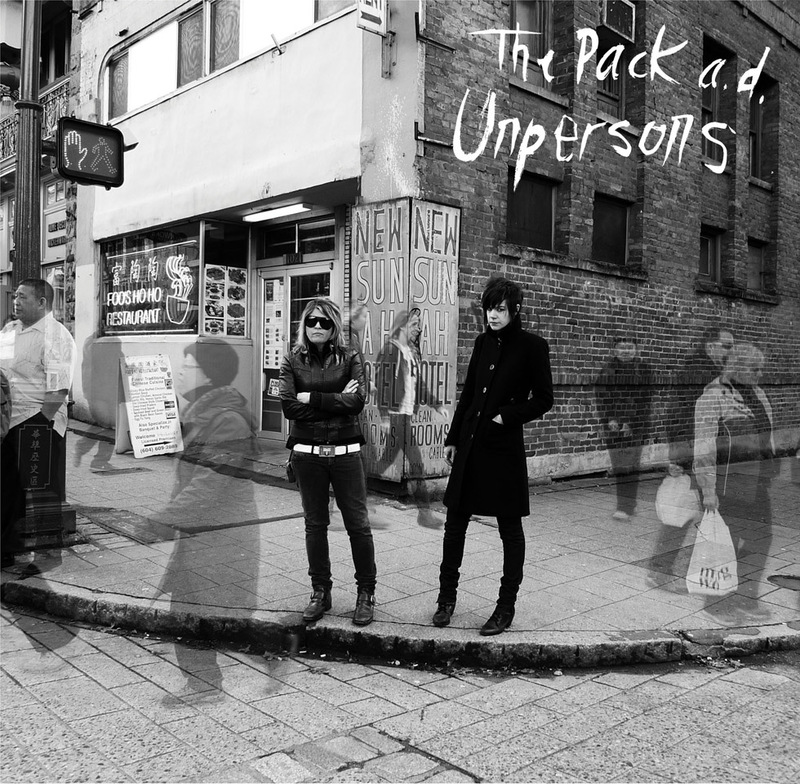 When Unpersons hits stores on September 13 in Canada and on the 20th in the States, The Pack a.d. will have established themselves as a band by which to compare others. 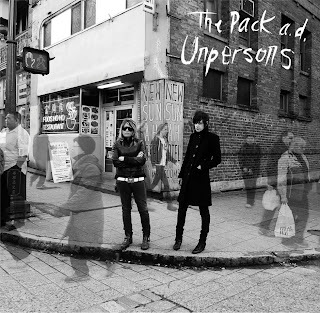 Like their last two albums, The Pack a.d. recorded Unpersons at the legendary Hive Studios with engineer Jesse Gander. However, where famed Detroit producer Jim Diamond (Electric 6, The Detroit Cobras, The White Stripes) mastered 2010's we kill computers from afar, he flew in — on his own insistence — to produce Unpersons first hand. After these sessions, the band went back with him to Detroit to perfect the mixing. 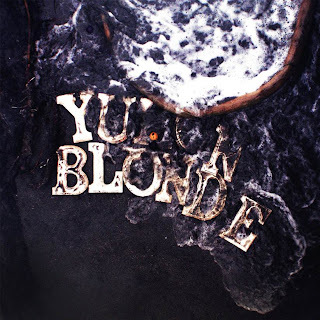 The result is a flawlessly produced and performed record that projects all the snarl, piss, vinegar, venom and vitriol heard on their first three albums into a realm that is distinctly their own. Any reference one may wish to make to The Kills or White Stripes is no longer relevant. The Pack a.d. stand unequaled. All Canadian dates presented by Exclaim! One of the things we learned at NXNE this year is that it's about a lot more than shuffling from venue to venue to see shows. Part of that was simply because unlike last year, we committed three solid days to being in Toronto; part was due to acquaintances we've made through shows we've seen and N2D (leading to some great conversations); part was due to taking advantage of extracurricular opportunities like the Kelp Records/Line of Best Fit barbecue and the XM/Verge rooftop party at Skybar. But by far one of the biggest reasons we enjoyed NXNE so much this year was because of CBC Radio 3, its community of hosts and bloggers, and all the activities and meet-ups we shared. These culminated on Sat., Jun.18 at Moniski's NXNE/Goodbye Picnic in Trinity Bellwoods Park, a fare-thee-well for Ireland-bound CBC Radio 3 2010 Fan of the Year Monica Skorupski. First order of the afternoon: a strike (only in Radio 3 land, folks). With Radio 3 host Grant Lawrence emceeing, we were treated to three intimate performances: Wayne Petti of Cuff the Duke, who included a beautiful rendition of "Follow Me" in his set; Matthew Barber (how did we not fully appreciate this talented singer-songwriter before? 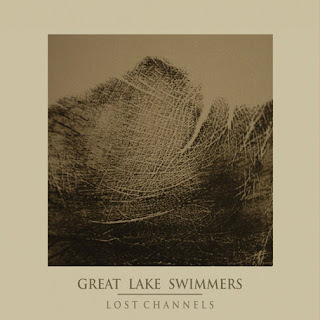 ); and Graham Wright (of Toyko Police Club and frequent guest host on Radio 3), who just released his first full-length solo album, Shirts vs Skins. Everyone left with an earful of great memories, and, thanks to Grant shooing away the errant Larry/Barry the dog (intent on consuming leftover chicken bones) with an umbrella a la Sean Connery in Indiana Jones and the Last Crusade, an eyeful as well. The Live in Bellwoods NXNE Picnic series was on our schedule every day because of the solid lineups of artists playing half-hour unplugged sets, but it took us until Saturday to finally make it. We were sorry to miss most of Toronto band Sweet Thing; what we heard (those being the key words, as we discovered) was a great example of the concept done right: wonderful harmonies, strong vocals, lively music. They stayed on to back Allie Hughes. Despite Sweet Thing's very capable support, the park setting didn't do Hughes justice. We had a hard time hearing her, a surprise given her usually robust vocal performance. We couldn't hear the next singer-- the lovely Kat Burns of Forest City Lovers-- at all, which was a shame. Her voice and tiny ukelele were simply lost under the trees. Which just goes to prove: sound checks are invaluable. So what did sound good? Trying the legendary nachos at Sneaky Dee's. Nearly $15 for the Kings Crown is pretty legendary, but nothing we couldn't make at home. The sour-mix free margaritas, however, get the Yort seal of approval. Next post: the NXNE 2011 finale, finally. 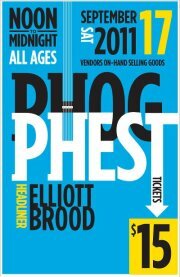 Sat., Sept. 17, noon to 12 a.m.
Get ready to have a tin pan alley (or parking lot as the case may be) clanging good time with headliners Elliott BROOD at Phog Phest 3, hosted by Windsor's Phog Lounge. Co-owner Tom Lucier is keeping us in suspense about the rest of the lineup, but promises a slow reveal over the coming weeks. Whatever he has under his pork pie hat, you can be sure it will be well worth $15. Click here for their Facebook event page. No, that's not a misspelling. It's just an appropriate way to sum up the four bands and amazing tour of instruments, genres and vocal styles we saw the evening of Fri., Jun. 17 at NXNE, beginning with The Most Serene Republic (TMSR) at the Mod Club at 8 p.m. There was plenty of elbow room in venues the night before; predictably for a Friday, we saw that change, especially as the hour grew later. Not all bands are as suitably named as TMSR (Milton, ON), whose music reflects the beauty of a time and place that existed for a thousand years beginning in the seventh century. Fronted by possibly the only lead singer/trombonist in Canadian indie, Adrian Jewett, and anchored by the fine and melodic keyboard work of Ryan Lenssen, the band's co-founders, their set easily earned a spot in our Top Ten. Their songs are more eclectic than the usual alt rock label would suggest, ranging from rich brass sections, orchestral arrangements to intelligent pop/rock, depending upon whether Nick Greaves is on the guitar, using the Ebow or the banjo, and Simon Lukasewich is manning the bass or violin. No one likes a nihilist, but there's something for everyone to like about TMSR. Arriving at our next destination, the Garrison, we caught the end of Jesuslesfilles' set, the opening act for the Osheaga Showcase. And Jesus, these Francophone rockers from Montreal were loud. They're better than the volume that buried their appealing garage/grunge/mid-80s sound. Check it out on Bandcamp, where Jesuslesfilles' first album, Une Belle Table (Sept. 2010) is available for NYOP (name-your-own-price). Between shows at NXNE is like an ocean tide: an ebb of people moving to the bar, on to the next venue, and then flowing back towards the stage. Based on the surge into the room for Elephant Stone, another Montreal band, they're still riding the crest of a single full-length album from 2009 (The Seven Seas, a Polaris long-lister) and a 2010 EP (Glass Box). We'd never seen anyone play the sitar before, and were totally captivated right from the overture of a psychedelic instrumental jam led by Rishi Dhir. Maybe it's because we both grew up with CKLW in the 60s, but we also love Elephant Stone's perfect pop interpretations of that era, with or without the sitar. Dhir was in the audience when the tide turned and returned in even greater waves, flooding the Garrison for one of the most hyped bands of NXNE: Braids. 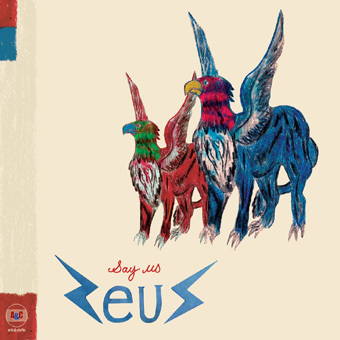 Their debut album Native Speaker, released in January, was named to the Polaris long list the day before; it's since landed on the short list. Braids is often described as art rock, and with long trance-inducing phrases, their seamless set perfectly recreated the album's painterly soundscape. We would debate those that call Braids abstract or avant-garde. Exactly as the album title suggests, we find a very organic, aboriginal quality to their music, especially Raphaelle Standell-Preston's lead vocals. In a completely different way, it doesn't get more organic than the Pack a.d., our 1 a.m. nightcap at the, ahem, pack e.d. Horseshoe Tavern. One drummer (Maya Miller), and one singer/guitarist (Becky Black) plumbing the primordial depths of bluesy garage rock, nobody does the less is more philosophy better than the Pack. Their new album, Unpersons, drops Sept. 13; we hear there may be a Detroit date in the near future. Next post: NXNE Day 3, part 1-- a picnic with a Duke, a Barber, a (Toyko) Police (Club) man, Larry/Barry the dog and whispers in the park.